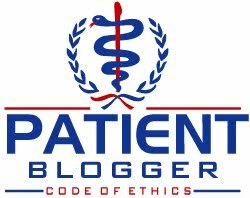 Scott's Web Log: Change at the FDA We Can Believe In? 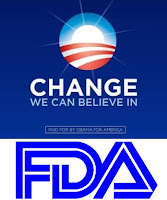 Change at the FDA We Can Believe In? Bart Stupak, a Michigan Democrat who holds a key post on the House committee that oversees the Food and Drug Administration (FDA) and a frequent critic of that agency's mishandling of various issues on food and drug safety, has apparently written a letter to President-Elect Barack Obama asking him to avoid naming any current officials of FDA to lead the agency. Janet Woodcock, the current FDA deputy commissioner and a 20-year FDA employee, is favored by the pharmaceutical industry to oversee the FDA, in part, because she subscribes to the view that the FDA should be a "partner" to the industries the agency regulates. However, as an agency responsible for ensuring public health, that is the wrong view to have; the relationship need not be adversarial, but the FDA is not now, nor has it ever been, a partner to the food processing, pharmaceutical and biotechnology industries. The FDA is boss and has no fiduciary responsibility to drug company shareholders. Over the last decade or so, the FDA has used far more carrots than sticks in enforcing public safety, and has failed abysmally at that responsibility as a result. We have seen drugs approved which were later proven unsafe, foods tainted with harmful bacteria. Earlier this year, we saw pet food (from China; why do we need to import this when the U.S. supposedly has the world's most efficient agricultural industry? ), tainted heparin due to complete lack of oversight at Chinese production facilities (for which Stupak called for Janet Woodcock's resignation), and countless other reports of FDA ineptitude in overseeing these industries. "I would encourage you not to appoint any current senior FDA employee as Commissioner or Interim Commissioner of the FDA. Current senior FDA employees are too close with the industries they regulate, creating a question of who they are working for." He called for a "complete change in the FDA's leadership," according to the Journal. Let is hope that the message of change starts with the Food and Drug Administration, and let's thank Bart Stupak for his efforts to see this kind of change really happens! This is potentially good news. Now, how about a slightly different bit of news--and perhaps some activism. Is this an opportunity for T1 diabetics, who have been doubly victimized--by the insulin cartel AND the insurance industry--to step forward and share their tale with Daschle. Despite my outrage of the treatment of diabetics since the introduction of genetically-modified rDNA insulin and despite the cost and burden of importing natural insulins through the FDA's problematic and cumbersome 'Personal Import Permit' allowance, I have not been significantly harmed. (IOW, my discretionary income may have been directed at securing needed insulin and other health-related issues related to the tin ears of pharma-influenced doctors--I'm still alive, and not living under a bridge someplace. On the other hand I have heard tales of other Type 1's who have not fared nearly so well. But THEIR stories are not my stories and I cannot tell them. Please encourage readers who have been harmed by lack of access to healthcare in general--or natural insulin and better protocols, specifically--to contact Tom Daschle.